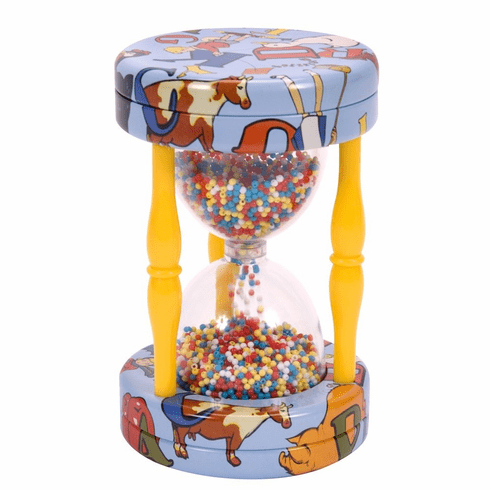 olorful Hour Glass Timer toy. When beads fall through, just turn it over. This classic toy has a retro look, and is made of both tin and plastic. It measures 7 1/2" tall. It is safe for babies, too. Ages 6 months and up.